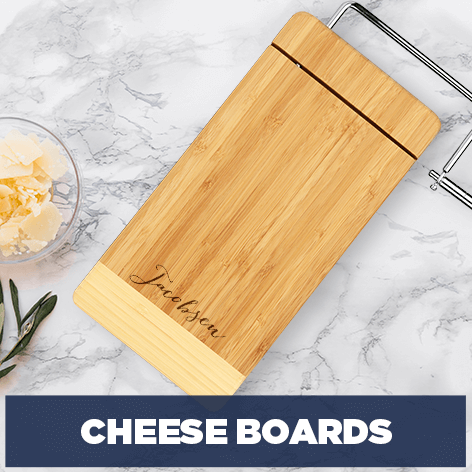 Find personalized cutting boards for every style of kitchen here! 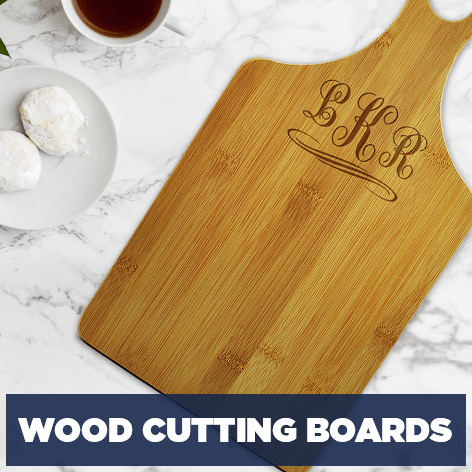 Our beautiful wood and glass cutting boards are the perfect household accessory for every family. Explore engraved designs on wood cutting boards. We make decorative boards with nautical, newlywed, musical, family and wine themes! You can even design your own with a word or phrase that is meaningful. 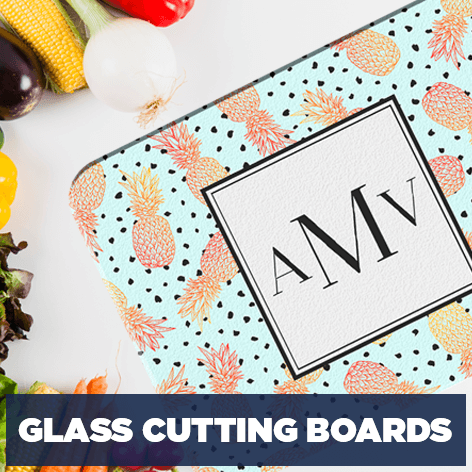 Give your cooking space an element of fun with a vibrantly colored glass cutting boards. View background patterns featuring orange slices, tropical palms and geometric shapes. Does your kitchen have a cozy vibe, Italian theme or modern look? We have many types of custom cutting boards and cheese boards to choose from. Add your initials or an inspiring message when you personalize yours today.